A package is delivered by courier to Robin, the assistant of private detective Cormonon Strike. It contains not the wedding-related paraphernalia that Robin had been expecting, but a human leg. When the police arrive they ask Strike whether he can think of anyone who would want to send him a human leg. No, answers Strike, I can think of three. 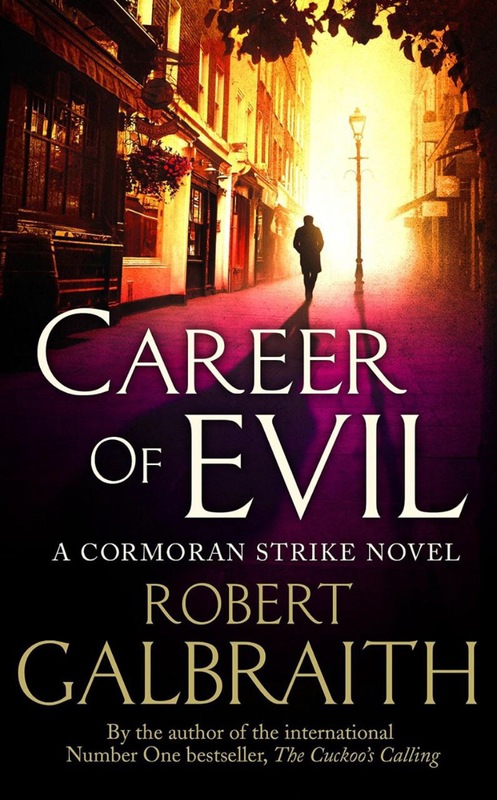 And so begins the third of the adventures of Strike and Robin, the protagonists of JK Rowling’s superb “Robert Galbraith” authored detective series. Strike and Robin remain compelling characters with their evolving friendship and work relationships as intriguing as the crimes they are investigating. But this particular investigation gets rather too close to home for comfort, stirring up elements of their personal histories that still haunt them. It is at times a frightening and grizzly affair. In a series of chapters that intersperse the main narrative Rowling attempts the distasteful task of getting into the mind of a misogynistic serial killer. It is a brave and unsettling thing to do, and also, necessarily, deeply unpleasant. I was at times tempted to skip these chapters because of that. But they are important inclusions as Rowling seems determined that this book should not be simply a hugely entertaining procedural, but also one that does not allow the reader to lose sight of what disgusting things violence and misogyny are. In this there is a strong echo of Stieg Larsson’s Millennium trilogy, though with a much less overt political agenda to Larsson. Overall a great addition to a series that I hope will run and run. On 3rd August 1916 Roger Casement was executed for high treason in Pentonville Prison, London. He was the last knight of the realm to befall such a fate in the United Kingdom. Casement had been a leader of the 1916 rebellion in Ireland. While his earlier capture meant that he had been absent from the fighting in Dublin during Easter Week, his collusion with the Germans, in an attempt to procure arms for the uprising, had been enough to seal his fate. Casement’s revolutionary nationalism often overshadows his, arguably greater, contribution as a human rights and anti-slavery activist. As British Consul in Congo, Casement had been a pivotal figure in exposing King Leopold’s genocidal exploitation of the peoples of the Congo in pursuit of rubber and ivory. Under Leopold, William Sheppard, a black American missionary, documented how a chief had shown him 81 severed hands which he was taking to a state official to prove that they had punished villagers who had not complied with demands that they collect rubber. That was by no means the worst of the depredations brought by Leopold’s reign in the Congo. But as a result of work by Casement, Sheppard and others, such as the extraordinary British journalist, Edmund Morel, finally sufficient international pressure was brought to bear on Leopold and Belgium to end the atrocities. Casement’s years investigating human rights abuses in Africa and South America led him to a become a committed anti-imperialist. Consequently, following his retirement from the Foreign Service, he became heavily involved in the growing efforts towards independence of his native Ireland. As these efforts were increasingly resisted with threat of violence by anti-democratic elements in both Ireland and the British Establishment Casement became involved in the Irish Volunteers, a militia founded to guarantee Irish Home Rule. The leaking of Casement’s personal diaries by the British state, exposing his homosexuality, undermined a campaign for his death sentence to be commuted. While the urgency of the anti-imperial struggle may have diminished Casement’s human rights work resonates still. In spite of the efforts of Casement and many like him millions of people are still enslaved across the world, just as they were in Casement’s day. Many of them are subject still to the same sorts of brutal violence Casement exposed in Africa and South America. Even in Nehru’s India, the world’s largest democracy, the severing of the hands of Dalits is still a sanction used to compel forced labour. So, at the centenary of Casement’s death, the lesson of his life remains a vital one: when the status quo is injustice, the right thing to be is a rebel.